Welcome to The Albany Night Life ( NightLife ), RMC WebSite. Wanted are your press releases on all cultural events and weekly social events & photos. Send via.. email below. This site is under construction and likewise is going through consensus for the use of certain contents, as well as investigating what is known as public domain content and photos Albany, New York connections. Register your social, cultural or spiritual on-going weekly socials on Albany Social Calendar. Its free! Albany Night Life ( NightLife ), RMC is an Inter - City Cultural Communications website program between the cities of Albany, and Ithaca, New York. From its earliest days, the Iroquois and other native peoples often came to the site of Albany to trade and to confer with settlers and officials. In 1754, Native Americans joined with delegates from the American colonies as the Albany Congress considered plans for cooperative ventures. Later, Albany was the crossroads of American liberty and the capital of the Empire State. 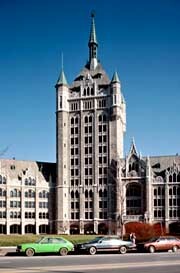 With its central location and a legacy of hospitable inns, halls, and hotels, Albany has been a popular meeting place for more than 300 years. Sometimes, conserving the natural history and biodiversity of one place, like the Adirondacks, requires taking action in a different place far away. A unique partnership of organizations, including the Adirondack Park Agency, Olympic Regional Development Authority (ORDA), New York State Department of Environmental Conservation, Adirondack Council, Adirondack Chapter of The Nature Conservancy, Audubon New York, Cornell Lab of Ornithology, Vermont Institute of Natural Science, and the Wildlife Conservation Society, embraced that notion as they announced the creation of the Bicknell’s Thrush Habitat Protection Fund. The Bicknell’s Thrush is a rare migratory songbird that migrates each year from the Dominican Republic and Haiti to summer in the Adirondacks, returning to the Caribbean islands each fall to spend the winter. Because of its small population, limited distribution, and known threats, Bicknell’s Thrush is one of the highest priority songbirds in the northeastern U.S. Scientists believe that loss and degradation of the forests where it spends the winter are the greatest threats to the species’ long-term viability. The Fund, which will be administered by the Adirondack Community Trust, creates a mechanism to protect the rare bird’s wintering grounds in the Caribbean. Click here to visit ORDA’s website regarding this and other efforts to protect Bicknell’s Thrush, read the press release about the habitat protection fund, see a map of the bird’s distribution, and/or hear its song. To make a donation to the fund, click the link below, then enter the dollar amount of your donation, enter “Bicknell’s Thrush Habitat Protection Fund” in the place for Designation, click the “Add to Giving Cart” button, and follow the prompts. Audubon is dedicated to protecting birds and other wildlife and the habitat that supports them. Our national network of community-based nature centers and chapters, scientific and educational programs, and advocacy on behalf of areas sustaining important bird populations, engage millions of people of all ages and backgrounds in positive conservation experiences. Richard Ognibene, Jr., a high school chemistry and physics teacher at Fairport High School in Fairport, NY, was chosen as the 2008 New York State Teacher of the Year. Commissioner Richard P. Mills made the announcement at the September meeting of the New York State Board of Regents. A reception and ceremony honoring Mr. Ognibene and the four finalists will be held on October 22, 2007 at the State Education Building in Albany, NY. Fairport parent Debra Tandoi describes Mr. Ognibene as “dedicated to the betterment of his school and community. His involvement clearly shows his commitment to community as well as his level of compassion.” He has inspired former students, some of whom have chosen to pursue careers in science. In 2006 he was awarded the Fairport Crystal Apple Award which is Fairport’s Teacher of the Year Award. In addition to his teaching, Rich is a valued member of his community who generously offers his time and support to numerous committees and activities. Finalists were: Felipa Gaudet, a kindergarten teacher at Violet Avenue Elementary School in Poughkeepsie, NY; Anne Sierotnik, a high school English teacher at West Genesee High School in Camillus, NY; Alison Albright, a high school English teacher at Canandaigua Academy in Canandaigua, NY; and Elaine Ormsbee, an Alcohol and Drug Prevention Counselor at Gillette Road Middle School in Cicero, NY. The State Teacher of the Year Program is sponsored by NYSUT (New York State United Teachers, New York State Congress of Parents and Teachers (NYSPTA), the New York State Association for School Curriculum Development (NYSASCD), ING Financial Services Inc., the SMARTer Kids Foundation, SMART Technologies and the Council of Chief State School Officers (CCSSO). The program is run in conjunction with the National Teacher of the Year Program, sponsored by CCSSO. The process of choosing the Teacher of the Year is rigorous. All applicant portfolios are read and scored by two outside readers, the scores are averaged and the teachers with the top ten scores become the semi-finalists. The semi-finalists’ portfolios are sent to a different committee to be read and scored. The scores are averaged, and the top five become the finalists. Education Department staff interview representatives from each of the finalists’ schools and speak with colleagues, administrators, students, parents and community members. The finalists come to Albany for an interview with the Selection Committee, whose members are representatives from NYSUT, NYSPTA, NYSASCD, the School Administrators Association of New York, the New York State School Boards Association, the New York State Association of Teacher Educators, the New York Association of Colleges of Teacher Education and United Federation of Teachers. The sitting Teacher of the Year also serves on the committee whose chairperson is the previous year’s Teacher of the Year. After the interview, the committee considers all application components and votes to choose the State Teacher of the Year. Applications for the Teacher of the Year Program are available in the fall of each year from the Teacher Development Programs Unit of the New York State Education Department at (518) 486-6042 or online at: www.highered.nysed.gov/tcert/showcase/teacherofyear.htm Individuals identified to Education Department as outstanding teachers are also mailed applications. As per an internet suggestion....Cultural Zionism Forum ~ Montreal, Quebec, Canada Get Together : A non - affiliated Israeli related social program planning forum for the organization the Montreal, Quebec, Canada Cultural Zionism group.